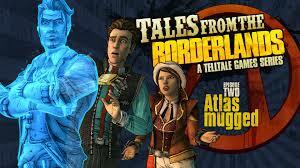 This entry was posted in Gaming and tagged atlas mugged, Borderlands, SkyrmDuck, tales from the borderlands. Bookmark the permalink. ← SkrimDuckSays ………. So Grown Up I Can’t Even Believe It!